Situated on the banks of river Pampa, Aranmula Sree Parthasarathy Temple is dedicated to Lord Sree Krishna. 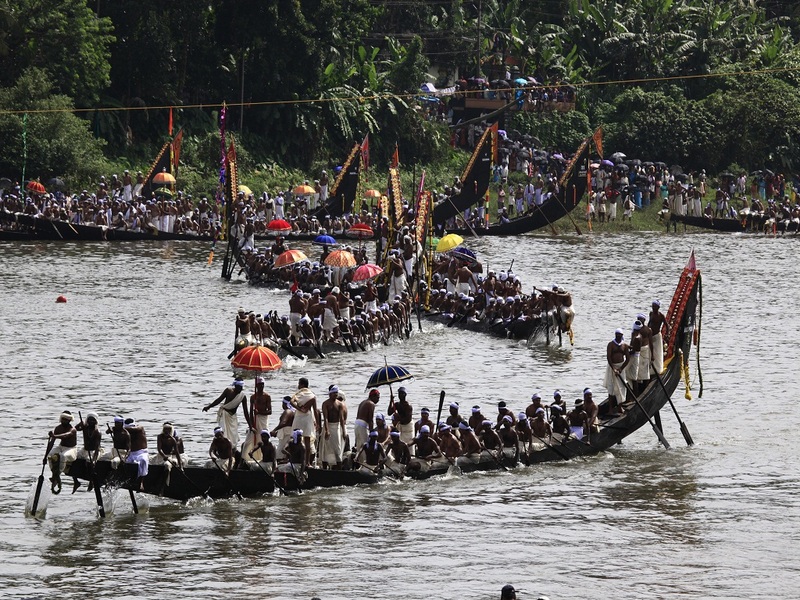 It is said that the idol was brought here in a raft made with aru (six) pieces of mula (bamboo) which gave the town its name, Aranmula. The temple celebrates various interesting festivals and one among it is the annual ten-day festival starts with Kodiyettam on the Atham asterism ends with an arattu on the Thiruvonam asterism in the Malayalam month of Makaram (January-February). Garudavahanam procession, carrying Garudavahanam as part of the festival will be held in the early morning hours of the fifth day. 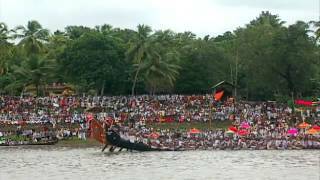 Ashtami Rohini in the month of Malayalam month of Chingam is considered to be the birthday of Lord Krishna and at Aranmula the festival is celebrated ritualistic mass feast known as Ashtami Rohini Valla Sadya. The sadya served here includes around 60 varieties of food donated by the devotees to Lord Krishna. Besides the mass feast on Ashtami Rohini, Valla Sadya has been done as a vazhipadu (offering) to the deity during August-September. 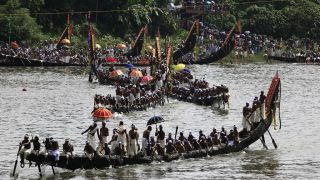 As part of vazhipadu Vallasadya the crew of the selected snake-boat will be accorded a customary reception on their arrival to the temple ghat. They circumambulate the temple, singing Vanchippattu, songs of the boatmen in praise of Lord Parthasarathy, before being led to the temple Oottupura (dining hall) for the feast. An interesting aspect of the feast is that guests theatrically demand more food by singing in the Vanchippattu style. The legend is that in a Valla Sadya all dishes asked for must be given to the people in order to please the Lord. Atham star in the Malayalam month of Makaram (January- February) marks the first day of the ten day festival and ends with Arattu on Thiruvonam star of that month .